Are you baffled because your products are awesome, but your sales volume isn’t as good as it should be? Is your competition capturing your market share due to their marketing strategies? Are you familiar with Search Engine Marketing and Social Media Marketing? Would your company benefit from hiring sales and marketing experts, but you just cannot afford to hire them? Do you know what qualifications to look for when hiring Sales and Marketing experts? Sales is arguably the most important part of any business. Because sales volume determines your company’s growth (or downfall), sales and marketing is something you need to have direct control over. Most small and medium sized businesses will have doubts about delegating this type of work to others, especially outsourcing to people outside their immediate geographic region – and even in other countries. However, if sales and marketing are not your core competencies, you should apply your energy to those things you are good at and hire experts to cover these areas of your business. Online outsourcing allows you to apply a cost-effective solution to hiring great talent who contribute directly to your company’s success. “Need Sales and Marketing Services? Outsource That” details commonly outsourced sales and marketing tasks. It also covers the qualifications you should look for in potential providers, and how to manage these kinds of projects. Armed with this information, you’ll be able to confidently start outsourcing your sales and marketing activities, meaning you’ll be free to focus on other ways you can grow your business. Review the different sales and marketing strategies used in e-commerce today. Learn about the specific qualities you should look for in hiring outsourced providers for sales and marketing efforts. Learn the guidelines for creating contracts with your providers that protects both you and your business. Understand how to successfully manage sales and marketing projects so the outcome contributes to your company’s bottom line. Determine how to best measure the success of your new sales and marketing efforts. 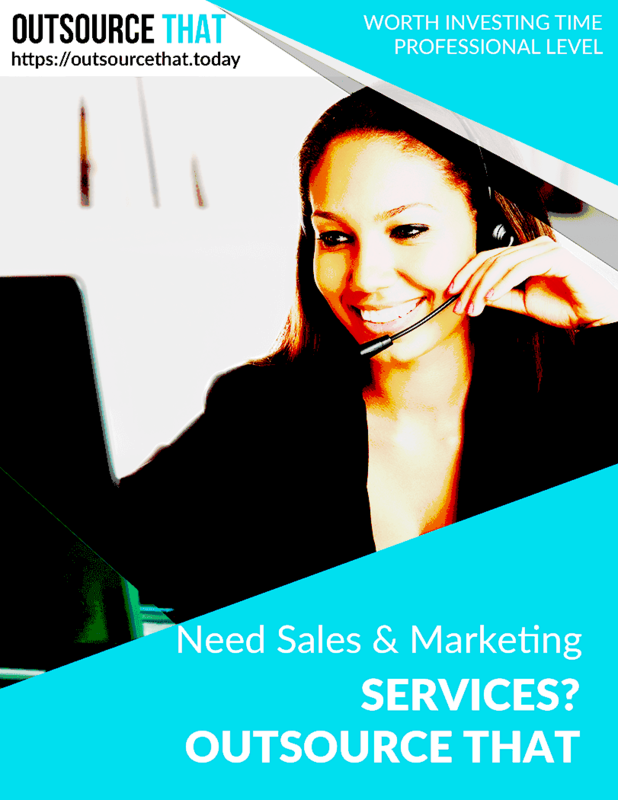 “Need Sales and Marketing Services? Outsource That” is part of the Outsource That Professional Business Library, a comprehensive resource for small business owners and managers who are ready to make the most of outsourcing opportunities but don’t quite know how. Having the information you need is the first step in understanding how online outsourcing can benefit you and your business. Regardless of whether new to this concept, stay one step ahead of your competition and purchase your copy of “Need Sales and Marketing Services? Outsource That” today.